This stamp is from the Tag You're It One set. 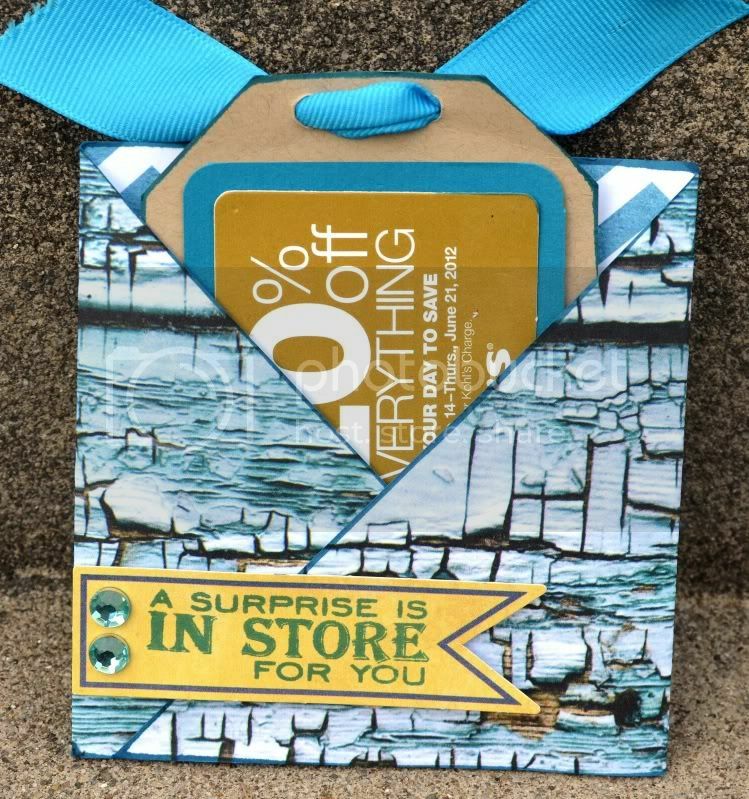 When I read the 'in store' part it reminded me of a sale, so I thought it would be cute to put it with a gift card holder. I used my current favorite ink, Clearsnap Stephanie Barnard Dye ink in Cornflower. I seem to be able to match this ink color to just about everything! The paper, rhinestones and Die cut are from My Mind's Eye. where did you find these gift tags..i wish to use it in Gift Card envelopes when i find it.